Life insurance is available for many pilots with no ’loadings’ (no price increase) and no exclusions due to flying. Many pilots could enjoy cover at ‘standard’ rates or at least find cheaper cover by talking to a specialist. On this page you will find information about some of the available options and how life insurance companies view different types of flying. Commercial airline pilots are generally considered ‘low risk’ by insurers because flying large commercial aircraft is statistically very safe. In addition to which, commercial pilots must undergo regular health checks and therefore tend to be in good shape. As a general rule of thumb the price of cover for airline pilots flying for large established commercial airlines should be unaffected by the occupation and applicants should qualify for ‘standard rates’ from several insurers. Student trainee pilots who are pursuing a career as a commercial airline pilot and their instructors can also enjoy ‘standard’ rates from certain life insurance companies. But not all insurance companies are the same and a specialist broker will be able to point someone in the right direction and help the application ‘fly’ through. Some insurance companies still have reservations about recreational private pilots who are flying in the UK but a select number are more sympathetic and can consider ‘standard rates’ under certain circumstances and one particular provider currently has no concerns about private flying whatsoever. Some insurers will want to know how many hours are being flown, the type of aircraft, if an applicant takes part in any record attempts, stunt or competition flying and may only offer ‘standard rates’ within certain parameters. Other insurers will happily offer ‘standard rates’ but exclude flying from the cover altogether which doesn’t really solve the problem. Fortunately however, there are insurers who take a much more realistic approach to underwriting and appreciate that private flying is also relatively low risk and private pilots don’t often get the opportunity to fly a great many hours per year due to weather conditions and work/family commitments. 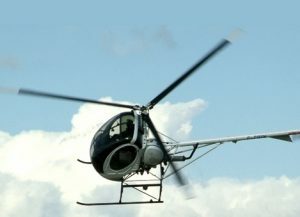 Helicopter flying is looked at by life insurance companies in much the same way as other types of flying in that experience and annual flying hours can make a difference to the price. However, at present there are only 2 insurers able to offer life cover to all types of commercial helicopter pilots with no price increase. This also includes offshore transport, police pilots & air ambulance pilots (the only exceptions are military and S&R pilots who may have to pay more). Due to the nature of the aircraft, the extensive maintenance required, the maneuverability and possibility of flying closer to built up areas, the cost of cover for recreational pilots is likely to be increased based on the number of hours flown per year. The more experience a private helicopter pilot has, the lower this increase will be. Student helicopter pilots are likely to be rated the most. There are always exceptional circumstances and recreational helicopter pilots seeking cover who have a vast amount of flying experience should always provide as much detail as possible to a broker so that thorough research can be carried out. Military training can improve the scenario for private pilots and military helicopter instructors can also be looked on favourably due to the strict training regime and high standards. Unfortunately combat helicopter pilots may struggle to find cover from some providers and be highly rated by others. Glider pilots are treated in much the same way as small fixed wing motorised aircraft pilots and that means in the current market there is a very strong possibility of life insurance with no additional loading or exclusions. Some insurance companies are wary of stunt flying, record attempts and competitions but currently at least a couple of major insurers are not concerned about offering cover to glider pilots. Insurance companies will want to know the pilot has a license or the necessary certificates and flies as a member of a club. 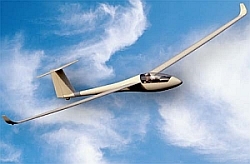 Glider flying is relatively low risk and glider pilots are also very restricted by weather conditions so most don’t fly an excessive number of hours per year which is why insurers are prepared to offer cover at ‘standard rates’ in most cases. 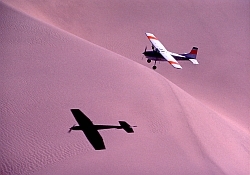 Occasional hang gliding and para-gliding is not too much of a concern for insurers but the ability to obtain competitively priced life insurance from certain companies could be dependent on the number of hours being flown per year, any competition flying and stunts or record attempts. As with any form of aviation some insurers are more understanding than others so it pays to seek advice from a knowledgeable adviser. 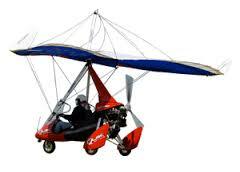 Microlights are classified in a comparable way to helicopters which means the price of cover is likely to be increased based on the number of hours being flown and the amount of experience. 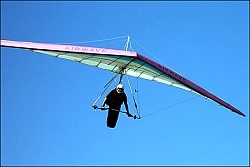 Microlights are faster than gliders & hang-gliders and there is an increased risk of injury on landing compared to other forms of un-powered flight. Individual circumstances vary so a professional adviser can help by contacting underwriters and testing the water. Pilots in the armed forces are likely to pay more for life insurance because they are exposed to greater risks and as you might expect, stunt pilots and test pilots are also considered higher risk occupations and any applications will need to be assessed on their individual merit.